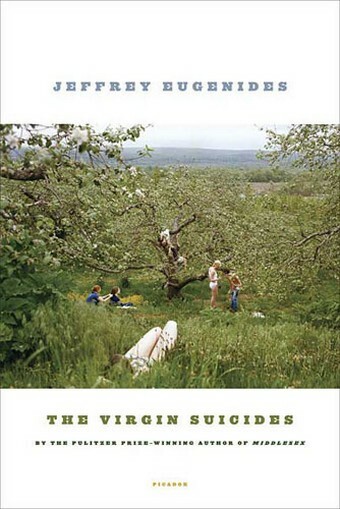 Set in Grosse Point, Michigan in the 1970s, The Virgin Suicides recounts the events leading to and following the suicides of the Lisbon sisters. In the book, Jeffrey Eugenides shows the viewpoint of a community trying to make sense of the girls’ deaths. The story is told in the first person plural perspective, where the narrator is a member of a group of boys who went to school with the sisters. Like the rest of the community, the boys experience an intense fascination with the Lisbon sisters. Years after the girls’ deaths, the narrator is still remembering, recounting the events leading to the girls’ suicides. Interviews are conducted and recorded. Personal items are gathered as ‘evidence’. All possible information about the sisters are compiled and recorded in this book. The book opens with the final suicide attempt from the last Lisbon daughter, Mary. Mary had overdosed on sleeping pills. Although the paramedics find her breathing, all efforts to save her are futile. Like the rest of her sisters, Mary was meant to die. Take it from the book’s title. This isn’t the case of a single suicide. All five of the Lisbon girls die—some in particularly gruesome ways. First up was Cecilia, who at 13, was the youngest and most eccentric of the girls. She walked around in a torn, wedding dress, looking through people with what Eugenides describes as her “spiritualist gaze”. At the start of the book, she slits her wrists and jumps into a hot bath, urging the blood to flow faster with warm water. Her parents and the paramedics find her barely alive, floating in the ‘pink pool’ of her blood, but she survives the initial attempt. Two weeks later, there was no saving her when she jumped to her death at a house party, impaling herself on a garden spike. The shocking manner of her death rattles the entire community. Not knowing how to reach out to the ultra-conservative Lisbon family, the community tries to find other ways to show their sympathy. This included subjecting the entire school, including the rest of the Lisbon girls—Lux (14), Bonnie (15), Mary (16), and Therese (17)—to a mandatory ‘grieving’ day. These efforts, though fueled by good intention, only serve to further alienate the girls from the rest of their peers. The relationship between the girls and their parents also begin to crumble when the Lisbons decide to pull the girls out of school. The entire family withdraws from the rest of the community, staying within the confines of their property and keeping to themselves. Sightings of the girls become rarer and rarer, until one can see them only through open windows or with the help of binoculars. Around this time, Lux also begins her scandalous nighttime trysts. Thinking the girls wanted out, the narrator and his friends attempt to reach out to them. But there’s simply no saving the sisters. All these intimate details are unveiled in the book and presented as evidence to the jury (the reader), but what’s left hidden is the Whys behind each suicide. Like the narrator, readers are left thinking, reflecting, dealing with residual feelings after finishing the last page. Personally, I think that after this book, there’s no doubting the genius of Jeffrey Eugenides. The writing style, the tone, the prose—everything just fell into place beautifully. The only thing I didn’t like too much about the book was the meandering it did (plot-wise) toward the middle of the story. The pace slipped and slowed down for a bit before picking up momentum. Wonderful as the imagery was, I still think some of the back stories could’ve been cut down to make this book an easier read. That being said, this is still the type of book I’d recommend to anyone who’s not afraid to face the hard and harsh topics like teenage suicide and lingering grief. Ooh now this sounds like an interesting book! Aother one to add to my endless list! It is very interesting. 🙂 Offers a very real view of the ripple effect suicide has on the people around the…erm… suicide. Ooh I definitely want to read it! Time to hunt around the charity shops I think! Great book, and great film too actually (very true to it) – starring Kirsten Dunst and directed by Sofia Coppola.